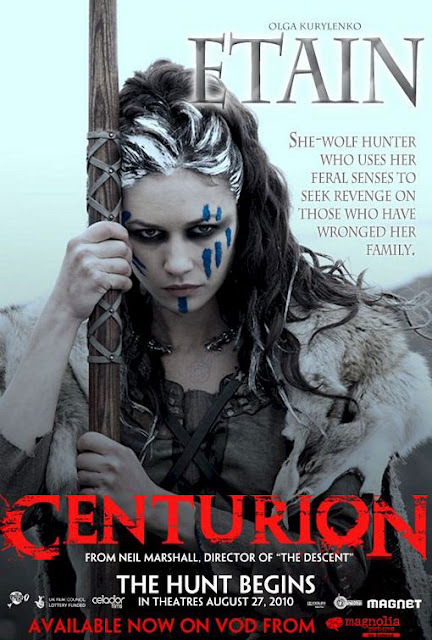 Considering the talent involved, Centurion is a really well made subpar attempt of a film. Now, I'm not trying to hate on the film but, when Neil Marshall...the creator of Dog Soldiers and The Descent makes a film...you kind of have to view it under a different light. You know what the guy is capable of so, it begs the question: has Neil Marshall fallen off the creative horse? Well, not entirely. Centurion is definitely not a bad film by any stretch of the imagination. Had it been his first, it might've gotten more of a positive review. However, having made this after the luke warm Doomsday I was expecting much more of a return to form. The film takes a little while to get the actual heart of the story going. It centers around a band of Roman soldiers led by general Titus (played by Dominic West) who are fueding with the Picts (Celtic tribe) in Britain AD 117. Their splinter cell is ambushed after a betrayal by one of the more interesting characters in the film. 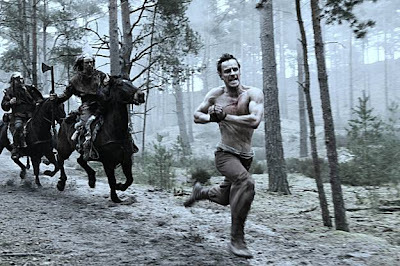 Then, once the survivors go back to the Pict's camp to rescue their general, Gorlacon's (leader of the Picts) son is killed and the film turns into a hunt for vengeance. Gorlacon sends Etain to dispatch the remaining Romans. Played by Olga Kurylenko, Etain is a silent cold blooded warrior who's tongue was cut off when she was a kid. She maintains an interesting demeanor throughout the entire film and you really get the sense that the Roman soldiers are scared shitless of this small framed female. Interesting how Marshall once again makes use of the strong female type in this film. The remaining Roman soldiers are now led by a tough as nails Quintus who is played by the talented Michael Fassbender, also in 300 and Inglorious Basterds so, he knows his way around a film based on war and bloodshed. 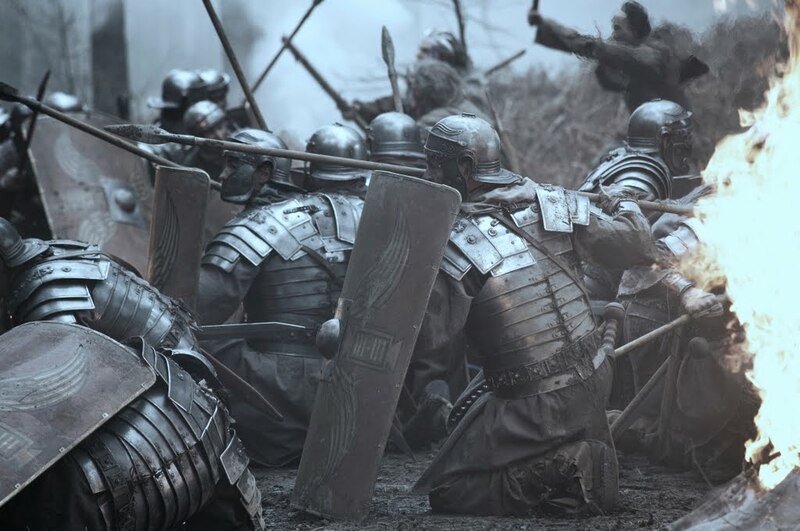 You'd think that with all the talent involved in Centurion as well as the subject matter you'd pull away from this film having experienced something much more substantial and worthwhile. Unfortunately, the film feels forgettable and trite. The gore and violence are definitely fun, though. After all, Neil Marshall cut his teeth in the horror genre so, it certainly is evident. 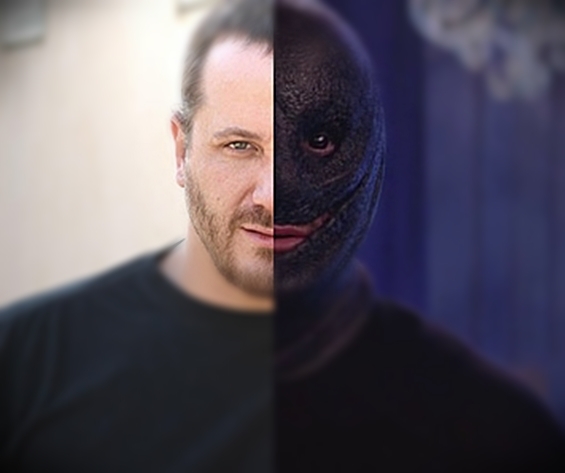 I wish he'd go back and do a damn horror movie. These "love letter" personal movies are nice every once in a while but, I'd love to see the man do a nice original horror movie again. Imogen Poots (heh) shows up in the third act of the film and lends an immeasurable beauty in a role as a witch banished by the Picts to live the rest of her life alone. She's a lovely young talent who was in the better than average 28 Weeks Later and I'd love to see more of her in the horror genre. 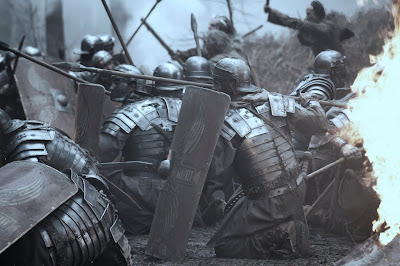 As a whole, Centurion is a decent film that would make any fan of films like Gladiator and 300 content but, as a devout Neil Marshall fan, I'm holding out for the mentioned-but-caught-in-film-development-hell Outpost or Sacrilege as a true return to his form before I make any crazy assumptions of his creative disintegration. Centurion is a 6 out of 10 for gore, violence, Olga Kurylenko and an overall disappointing Marshall entry.